I have a 1999 35th Anniversary Mustang in Crystal White Clearcoat. I've had her for a little over a year. I grew up in the automotive industry (worked in it for a while as well)... my mother worked for Ford and my father worked for Chevy... kind of funny if you ask me... anyway, I found my love in Ford and always wanted a Mustang. 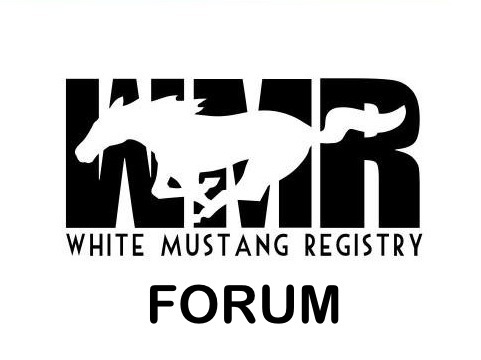 It wasnt until I was married with 2 children that I actually got one I currently run our local Mustang club -High Desert Mustangs- which was just established at the end of last month. Welcome to the Registry from Virginia. Nothing like a white Mustang with black stripes! A little slow here but post up when you can!